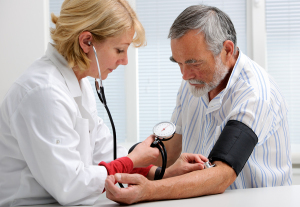 Senior Care in Memphis TN: Should Your Loved One Be Checking His Blood Pressure at Home? Should Your Loved One Be Checking His Blood Pressure at Home? Testing your loved one’s blood pressure at home can help you to spot fluctuations before they become a problem for your loved one. Home testing can also help to remind your loved one that high blood pressure is a condition that he can help to manage just by changing a few of his habits. If your loved one is testing his blood pressure only at the doctor’s office or when he occasionally runs across one of those machines at the pharmacy, he’s got a general snapshot of his blood pressure. If he’s testing more often, however, he’s got a better image of what his usual blood pressure looks like. He can also spot trends and patterns more easily, particularly after meals and after certain activities. Your loved one’s doctor can give you the best times to take blood pressure measurements. When your loved one is testing his blood pressure regularly, he’s got a much better feedback system in place. Much like someone with diabetes who tests their blood sugar regularly, blood pressure testing can help your loved one to know that maybe it’s time to take a walk around the block or perhaps that pretzel dipped in salt wasn’t a great snack idea. Testing can help your loved one make better decisions in the moment. Home monitors these days are really easy to set up and to use. Your loved one can perform the testing on his own or you or his elderly care providers can help him set up the machine. The cuff and the test itself are foolproof, and many home monitors take several tests so that the machine can verify its own results before displaying them to your loved one. When your loved one’s doctor only has the blood pressure results from office visits, he doesn’t have the full picture. Some people are nervous at the doctor’s office, causing what’s called a “white coat” effect on the blood pressure. With results from all times of the day when your loved one is more likely to be relaxed and happy, your loved one’s doctor gets better and more prolific results to examine. If you’re considering getting a monitor for your loved one, talk to his doctor about the right one to start out with for the best results. For in-home Senior Care in Memphis TN, please contact the caring staff at Personal Care Services MidSouth today! This entry was posted in Senior Care in Memphis TN and tagged Senior Care in Memphis TN. Bookmark the permalink.